Faceted Glass 4 ft. x 6 ft. Since 1963, Bera Stained Glass Studios has built solid relationships with clients throughout the United States and has completed a range of art and architectural stained and faceted glass commissions. We create both traditional and contemporary commissions by a staff of skilled artisans and designers who carry on traditional techniques and methods of stained and faceted glass design, while progressively integrating the modern-day needs of our clients. As principal designer and project manager, Nicole J. Purvis works closely with Brian S. Canfield to create and actualize the Studio's stained and faceted glass projects. Nicole's design ideology is deeply rooted in philosophy, historic preservation, and planning. She's been successful at synthesizing her academic background and her interests in a tangible artistic form. She views stained and faceted glass as art-in-itself, as well as an architectural feature that helps define space and time through illumination, color, and composition. Brian S. Canfield, principal glass painter and studio manager, continues the Studio's legacy as Glass in the Spirit of Art. As studio manager he is responsible for the overall execution of our stained and faceted glass commissions. Brian is adjunct professor of stained glass and art at Palomar College, San Marcos, CA. He holds an M.A. in Art-Glass from California State University, Fullerton, a B.A. in Liberal Studies with an emphasis in Art History and Education from San Diego State University, and apprenticed under master glass painter and artist, John Bera. 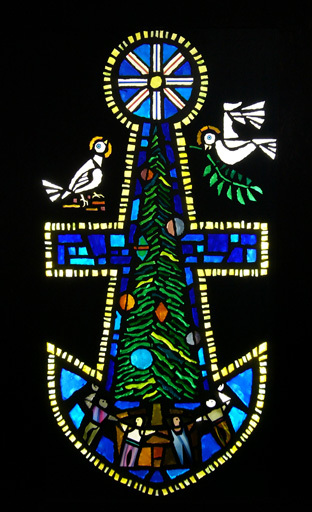 John Bera, studio founder, began working in stained glass in 1955. He opened Bera Stained Glass Studios in Chicago, IL in 1963 and worked exclusively in the field of stained glass for the past fifty years prior to his retirement.